ଠେକ୍କୁମ୍ଭାଗମ (ମାଲୟାଲମ: തെക്കുംഭാഗം/പരവൂര്‍ തെക്കുംഭാഗം)ଭାରତୀୟ ରାଜ୍ୟ କେରଲର ଏକ ପ୍ରସିଦ୍ଧ ଦର୍ଶନୀୟ ବେଳାଭୂମି ସହର । ଏହା କୋଲଲାମ ଜିଲ୍ଲାରେ ଦକ୍ଷିଣ ତଟରେ ଅବସ୍ଥିତ ।  1936 ମସିହାରେ ଏହା ଏକ ପଞ୍ଚାଯତ ଥିଲା । . ↑ "Estuaries Of India". Retrieved 16 March 2015. ↑ "Impact of Sea-Sand Filling in the Paravur-Kappil Backwaters, Southern Kerala with Special Reference to Phytoplankton Productivity" (PDF). Retrieved 16 March 2015. ↑ Coastal Zone Management: By Ramakrishnan Korakandy. Retrieved 16 March 2015. 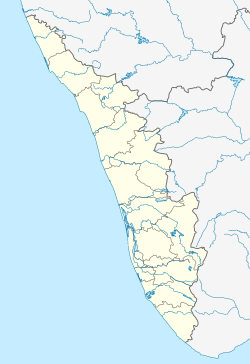 ↑ "Paravur-Pozhikkara-Thanni Road". Retrieved 16 March 2015.